Looking for a busy practice in downtown Toronto? This one has approximately 8 days of dentistry and 14 days of hygiene each week, and with over 2,300 patients seen in the past 12 months, there is a large patient base to keep you busy. Looking for a practice with a strong hygiene program? You got it! Hygiene billings per hygiene patient per year are almost 40% higher than the average practice. The strong hygiene program in the practice is good evidence of the conservative, preventive oriented philosophy, which carries over to conservative dental billings and a healthy level of outbound referrals. With approximately 27+ referrals per month to various specialists an owner operator could easily take advantage of this and take the practice to the next level by keeping these procedures in house. A total of over 2,300 patients have been to the practice for one or more appointments in the past 12 months, with 2,162 patients having one or more hygiene visits, translating into a 93% compliance rate. Looking for a well-established practice? This one has been in its present location for 29 years, with several updates made to the suite over the past 11 years. The office includes 5 equipped operatories, a staff room, a treatment coordinator’s room, and a private office for the dentist, in a total of 2,674 square feet. The practice feels very bright and spacious, with a warm and welcoming atmosphere, and let’s not forget a lease that runs until 2021 with 3 additional five-year renewal terms. Are you concerned about a transition period? The vendor is eager to continue working at the practice for 4 days per week for 1 to 2 years. 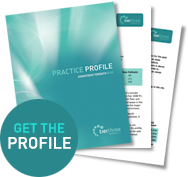 This would help ensure a smooth transition and would significantly reduce the risk of patient attrition, while still allowing plenty of time for a new purchaser to work in the practice.